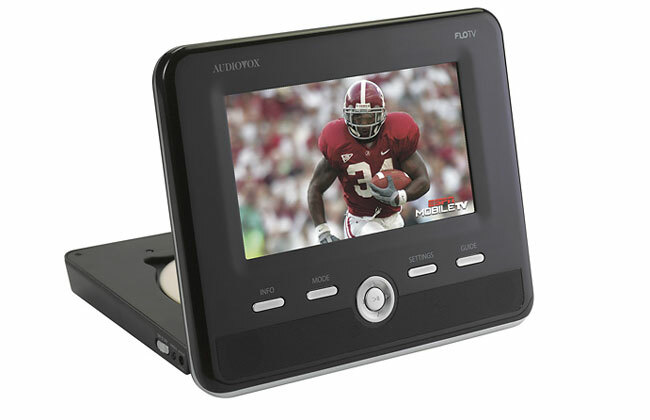 Back in January right around the time CES was underway we caught wind of a portable DVD player coming from Audiovox that featured Flo TV service capability. We haven’t really heard much else about the DVD player until today. Audiovox announced today that the DVD player is now available to purchase and you can hop over and get it at Best Buy right now. The DVD player is officially called the DFL 710 and has a 7-inch screen. The device will play your normal DVDs, but the big draw is the Flo TV service the player can access. You get three free months of service with the Flo TV player and after that fees are associated with the service. Best Buy is offering the DVD player for $199.99 online and in select retail stores. A variety of kids, news, and sports programming is offered via Flo TV.